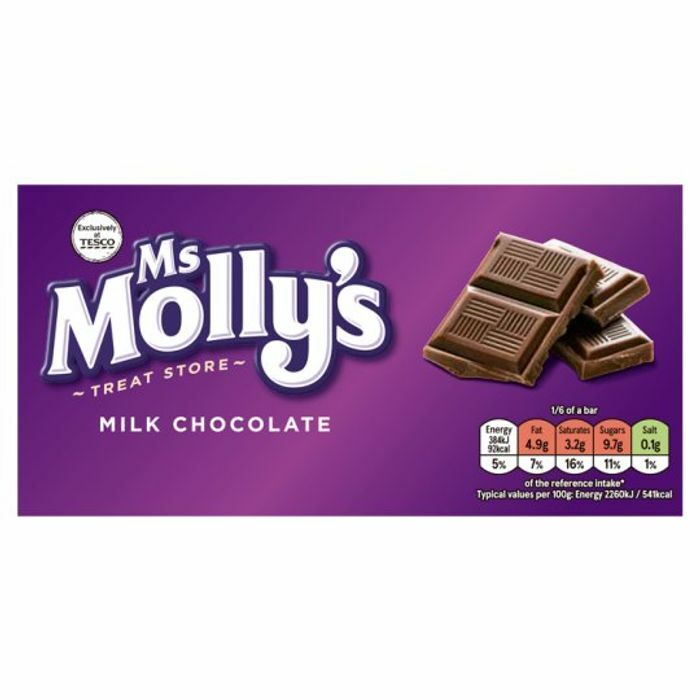 Has anyone tried this chocolate before? Yeah, not bad but obviously not Cadbury’s etc quality. We use it for baking, rather than buying cooking choc. Thats a great idea, i will keep it in mind for next time. This tastes ok too. That's a brilliant price. You definitely cannot go wrong with a bit of chocolate. I would just keep this in my bag to take around with me lol. Absolutely amazing price, you cannot say no to that price! Definitely will be going into Tesco and picking up a few lol..
What a fab price! Love chocolate. Time to run Tescos Wait,where will my slimfast plans go? Worth a go at 30p for sure.Thanks for that one. 30p is the usual price so This is not a special offer but it is an amazing deal. It comes in milk, dark and white, all are the same bargain price. Its not Cadbury’s but it is good. I buy this chocolate frequently for eating, the kids and I use it in cooking. It melts down well and can also be chopped for chocolate chip cookies.